We awoke at dawn of the second morning, groggy-headed but nonetheless excited for the real shopping to begin in our trip. We took a cab down to Pratunam Market just to catch the morning market deals on offer. The Pratunam Morning Market lasts from around 5 am to 7am according to our pre-trip research, but we found that the timing is actually not fixed. When we arrived at 6am, most stalls were still in the midst of opening and the narrow streets were packed with wholesalers arriving on motorbikes or lorries, delivering sacks of wholesale goods to these stalls in the market. In the Pratunam Morning Market, most of the clothes range from 100 to 200 baht, definitely a very reasonable price for these fashionable wear. There are plenty of stores offering a wide range of clothes, and the word ‘wide’ itself is purely an understatement! As I was looking for more shorts to be added to my wardrobe, the stores there left me spoilt for choice. 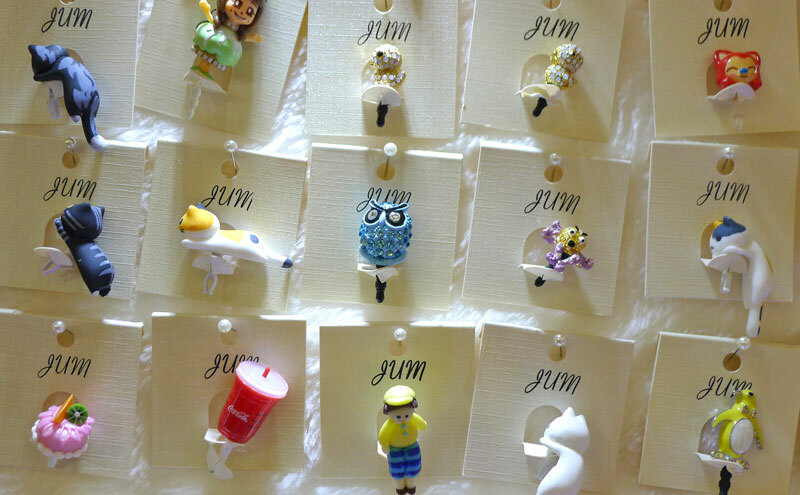 Not forgetting to mention that after bargaining with the store owners, they kindly offered us a discount on all pieces. The key thing behind bargaining is to pool together the clothes you want to buy with your friends or family members – because the more you buy, the cheaper they can offer it to you. You can only get wholesale price if you buy at least 3 pieces (of the same kind). Some of the clothes we saw were really thin and made of visibly cheap material, so my advice to travellers would be to stay picky in your choice of clothes. 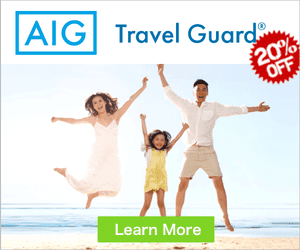 Cut down on the impulse buys – which can be pretty difficult because everything is rather inexpensive and you wouldn’t want to travel home with a luggage full of clothes you regret buying. 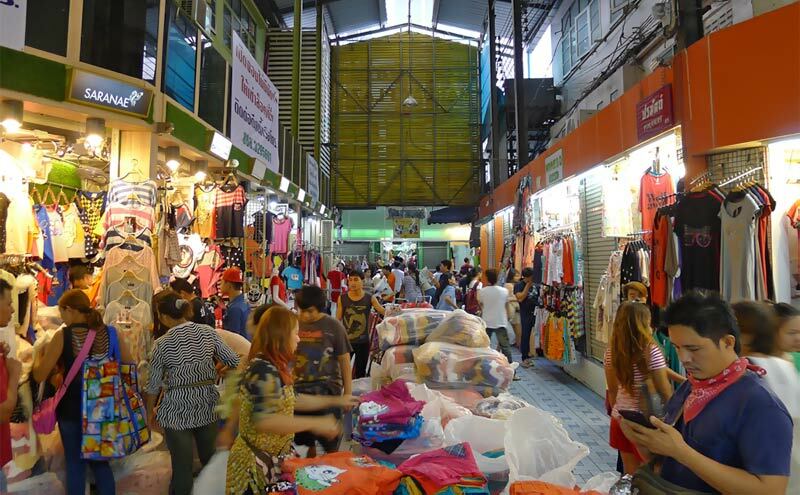 A note of caution is that the Pratunam Market is an easy spot for pickpocketing. Thankfully for us, we didn’t experience anything dangerous but nonetheless one should be cautious with one’s valuable items at this place so as not to spoil the shopping mood. I bought around 10 different articles of clothing, and spent about S$90 because I wasn’t that fantastic at the art of bargaining. Even if you are not a fan of shopping, being in here itself is an experience to encounter – from the sights and sounds of wholesalers and store owners lugging bags of clothes to the bargaining of shoppers looking for the best deals and the expansive array of clothes available. How to Get There by BTS: Nearest BTS station is E1 Chit Lom Station (Sukhumvit Line). Take exit 3, walk 3 mins to the intersection of Ratchaprasong road. Cross pedestrian bridge and walk another 5 mins to Petchburi road intersection. Cross Petchburi to Pratunam Market. 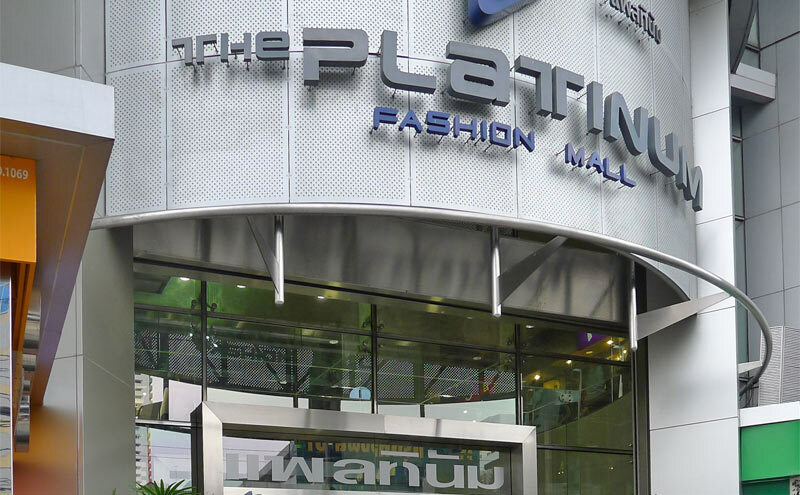 After contributing to the Thailand economy at Pratunam, our next shopping destination was the fabled Platinum Mall. We were pretty excited about shopping there especially since it is said to be the shopping haven of Bangkok. The Platinum Mall is divided into three large zones, each with almost six levels of shops and a dizzying array of items for sale. Cliche as it may sound, there is definitely something for everyone, whether you are looking for menswear or ladieswear, or whether you’re into gothic style clothes or sweet summer dresses. 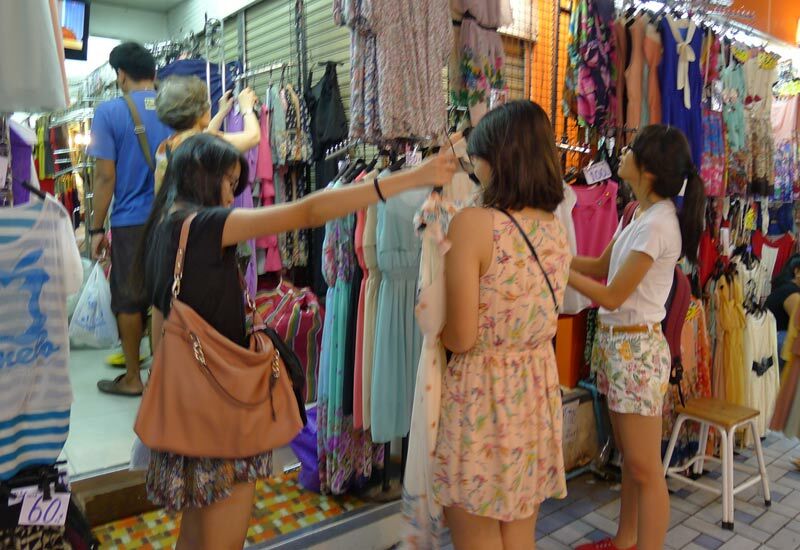 Here, the prices for clothes largely range from 300-400 baht, so don’t expect the prices to be as low as Pratunam Market. Nevertheless, there are still plenty of good buys to be made here for all clothes, shoes and accessories! As shown above is a picture of us at Platinum Mall, tired after an entire day of shopping. The variety of goods in this gigantic mega mall is so wide that we barely combed through half the shops in there. However, if you are looking for clothes to wear to formal occasions and balls, Platinum Mall may not be the choice location for shopping because the clothes here are largely casual wear. Bargaining is also possible at this mall, so do not hesitate to purchase more clothes or bags so as to bring down the price and obtain the best possible deal. We would also recommend a systematic approach in trawling through this humungous mall so as not to miss out on interesting shops in every nook and cranny of the mall! Conquering this Goliath of a mall is definitely no easy feat so do plan ahead. How to Get There by BTS: Getting off the BTS Chit Lom Station (E1). Take exit 6 and walk through Ratchaprasong Skywalk (aka Bangkok Skyline), stretches all the way to Platinum Shopping Mall (2nd Floor). 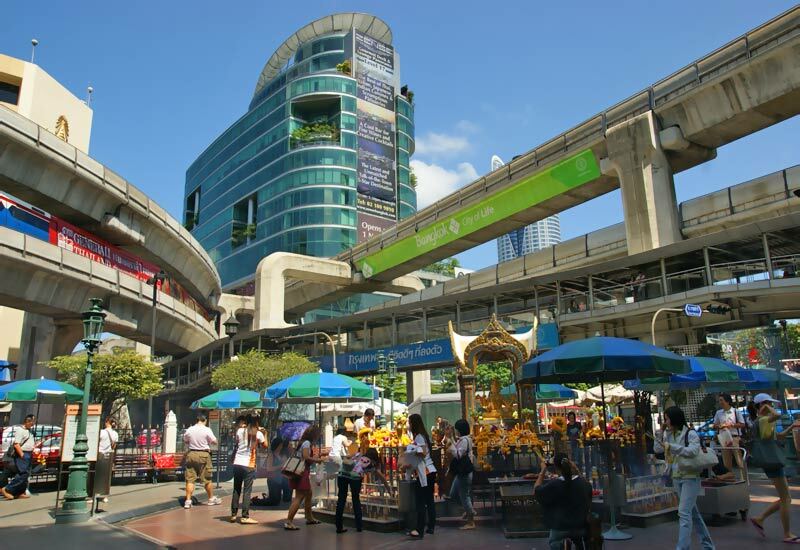 There are many shopping malls located in the Siam area such as Central World, Siam Discovery, Siam Paragon and MBK. 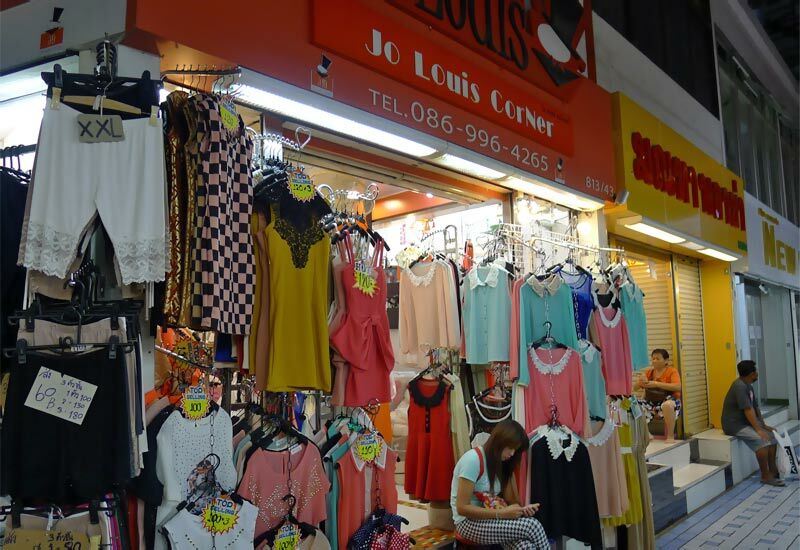 However these malls mainly carry international brands which can be found in Singapore at similar prices. 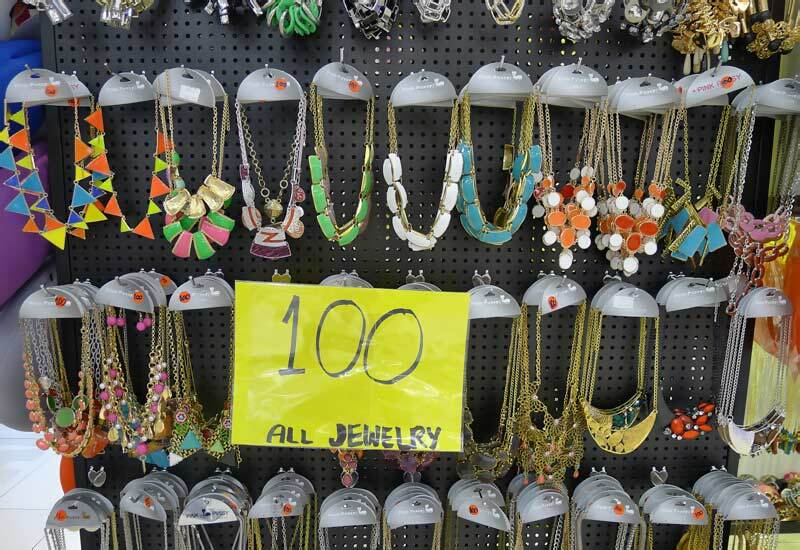 If you are looking for cheaper and less mainstream items, it is better to check out the streets (Soi 1-8) of Siam which offer a variety of designer and small boutiques, as well as roadside stalls at the Siam Night Market. Expect the prices to be higher than the things found in Platinum mall but the quality is also higher. 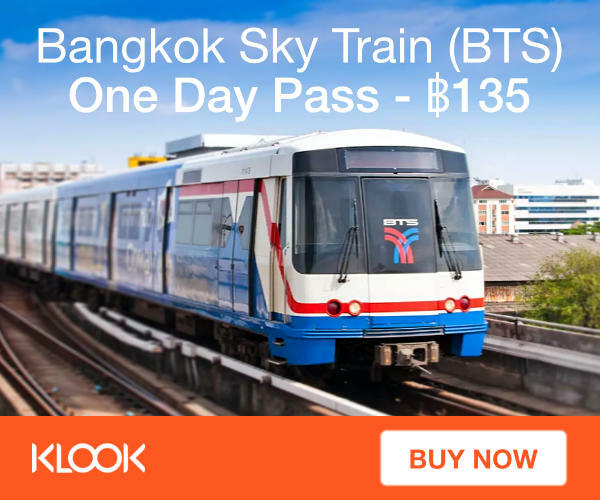 How to Get There by BTS: Alight at Siam Station (CEN) and take Exit 4, then use the Skybridge (Bangkok Skyline) connecting directly to Siam Square One. 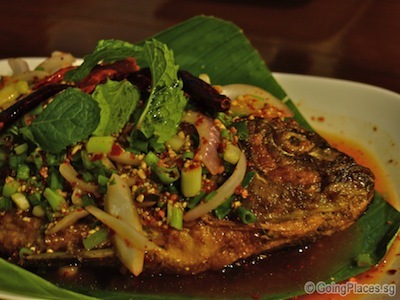 Som Tam Nua is a famous Thai restaurant that is popular among the tourists and locals alike. Located along an alleyway, the restaurant is difficult to spot but definitely worth the find! 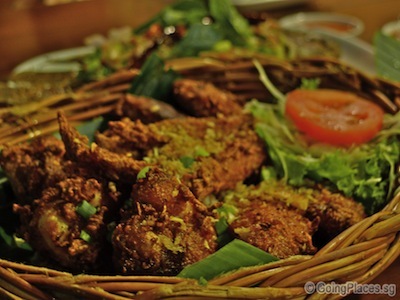 Famished from a long day of shopping, we ordered the restaurant’s must-try Som Tam (Papaya salad), Fried chicken wings, Pad Thai and some kind of Thai fish. The food goes really well with Thai ice milk tea. 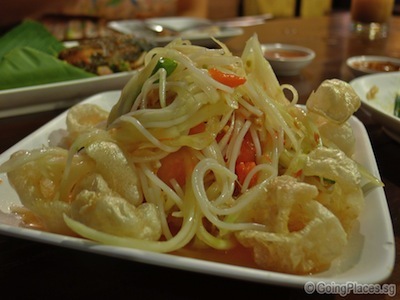 I am personally not a fan of Som Tam as the sauce was really spicy but the combination of spicy and sour crunchy papaya slices really whet our appetites. The fish was so-so only so it is okay to give it a miss. Another dessert place we wanted to try was Mango Tango, located just a few shops away from Som Tam Nua. As its name suggests, it is famous for many of its mango products such as mango sticky rice, mango ice cream and mango milkshake.